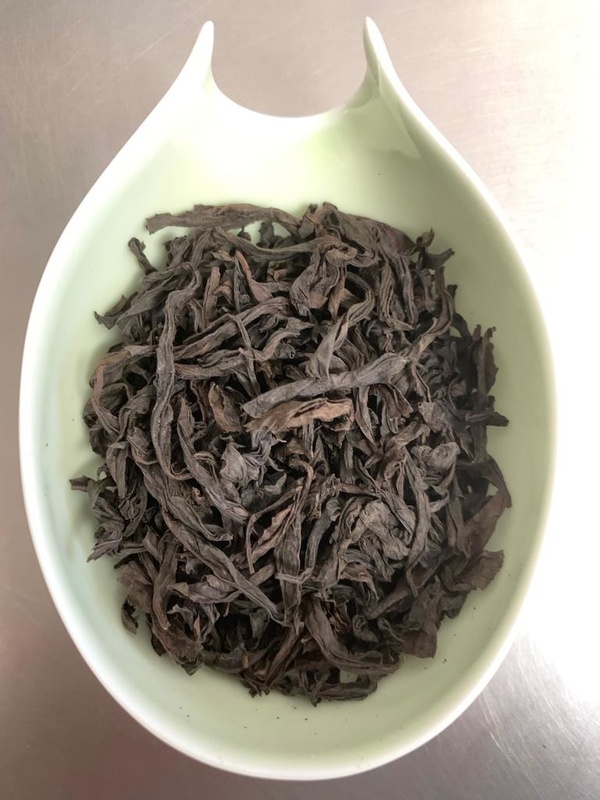 A very special & rare ROUGUI OOLONG, one of the five famous teas (varietals) from in the Wuyi Mountain Scenic Preserve of far north Fujian Province (bordering Jiangxi Province) of south eastern China, where the most desirable “Wu Long, Wu Yi Yan Cha” rock oolong teas are produced. 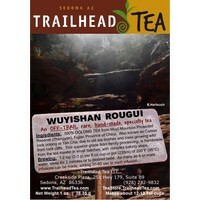 The picturesque mountain cliffs, fertile Nine-Bend River, and mineral-rich rocky terrain are the most critical contributions to the character of the tea. These oolongs are famous for their floral and “rock, bone, stone” signature minerality taste and mouth feel. The leaves are usually heavily roasted to produce the renown aroma. 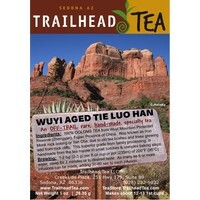 Like all historically famous teas in China, the specifics of the growing locations are meticulously detailed, for quality, rarity, and price. Unlike many other tea-producing areas in China, the tea trees here are not cultivated in the plantation style. They are allowed to grow naturally wild in spacious groves (making them more difficult to pick), ranging in age from a few years old to well more than 100 years old, and elevations around 1000-1700 feet. Although not necessarily certified organic, this area is strictly protected by the government, so absolutely no chemicals or pesticides are used. 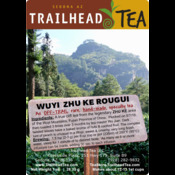 Our ROUGUI from Zhu Ke is a low production/small batch OOLONG acquired direct from tea maker located in the Zheng Yan Circle Mountain area (which translates to “True Cliff”, and is the most core location in Wuyishan) that extends only about 18 square miles. Harvested 5/7/2018 from the Wuyi garden known as Zhu Ke (马头岩) or Bamboo Dwelling, within the Zheng Yan Circle. 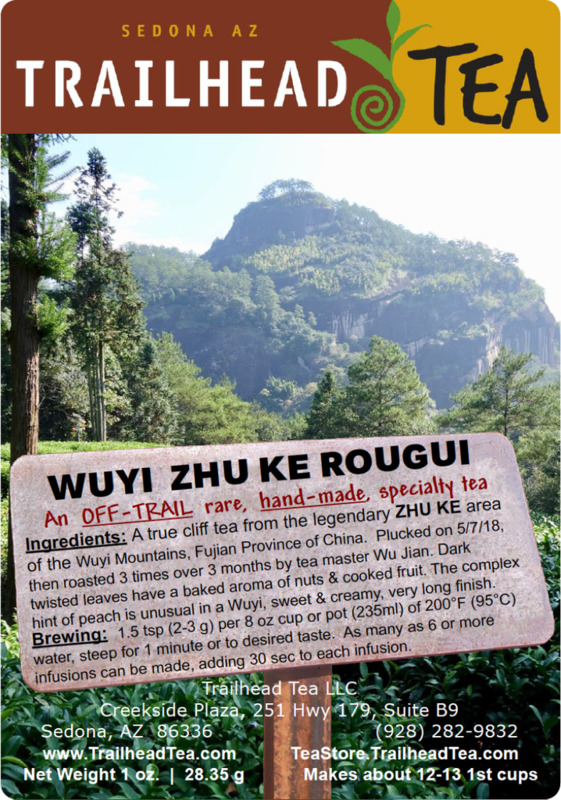 The Rougui leaves were roasted 3 times over the following 3 months by tea maker Wu Jian. Usually Rougui is best known for some sweet cinnamon notes, woodiness, and very light florals. 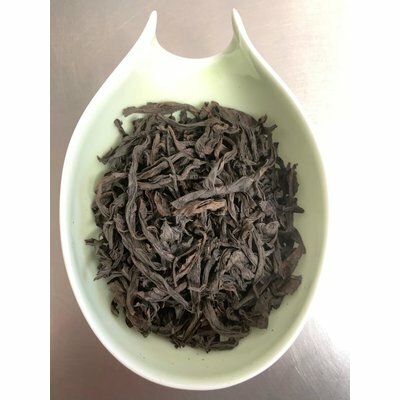 Instead, ROUGUI from Zhu Ke has long twisted leaves have a rich baked aroma, a unique sweet peach note and taste, with hints of nuts and cooked fruit. Full bodied, the traditional mineral rich rock flavor is complemented by the complex fruity sweetness and a desirable creamy smooth finish and a very long-lasting aftertaste. 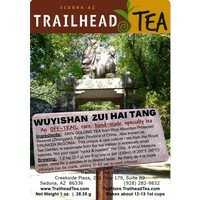 Package size is 1 ounce of full leaf tea, which yields approximately 12 to 13 first cups. Larger package size is 2 ounces which yields about 25 first cups. The quarter ounce tasting sample is available for about 3 cups. 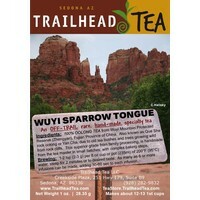 BREWING: One full teaspoon (about 4g) for every 8 oz (240ml) of 195°F (90°C) fresh water. Steep for 1 minute or slightly longer to desired taste. Five or more infusions are possible by increasing steep time 30 seconds to one minute each time. 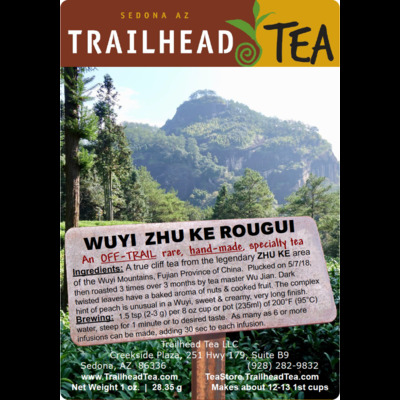 Want to see related teas to Zhu Ke Rougui ?